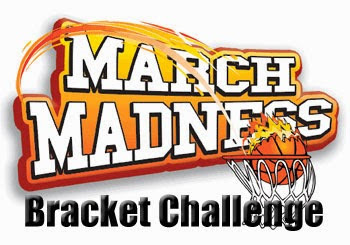 Team Aguilar’s Free March Madness Basketball Pool is back! This is our 5th year and it sure seems to fly by! You won’t have a chance to win a million or a billion dollars but you may win a few bucks. The March Madness Pool is 100% free and everyone is welcome. It will take you just a couple minutes to sign up, make your picks and lock your bracket. Note that the schedule will be updated Sunday evening after selection Sunday has completed. Feel free invite your friends and message me with any questions. San Diego’s annual Rock ‘n’ Roll Marathon kicks off this weekend on Sunday, June 2nd. Based on feedback from runners of previous marathons, organizers have decided to relocate the finish line to a new venue this year. The 2013 event will start at its usual location of 6th Avenue and Quince, and finish at Petco Park. Both the 26.2 mile full marathon and 13.1 mile half-marathon have the same start and finish lines. Special events for the big day include a massive post-marathon concert at Petco Park as well as mini concerts by local bands along the course. Commuters concerned about road closures will want to consult the official course route (PDF link) and make note of which roads will be affected. Keep in mind both races start at 6 am; the full course (marked in red) lasts 7 hours and the half course (in blue) is scheduled for 4 hours. For more information including rules, registration and course details please visit the official 2013 San Diego Rock ‘n’ Roll Marathon page. 1. Since its inception in 1998 the Rock ‘n’ Roll Marathon events have raised over $287 million for various children’s charities. 2. Runners from Kenya dominate the men’s event, having won 11 of the last 15 San Diego Rock ‘n’ Roll Marathons. Three Ethiopians and a Moroccan make up the remaining four. 3. The half-marathon has been won for the past two years by home-grown hero, San Diego’s own, Meb Keflezighi. 4. This year’s event is expected to attract over 20,000 runners and 100,000 spectators. 5. Clothing discarded over the course of the race will be collected and donated to local homeless shelters. 6. You get special perks if you show up at this year’s event dressed as Elvis. Why Pro Athletes Stink at Money Management! What is it about professional athletes that make them so bad with money? It’s almost cliché to talk about the ex-MLB player who blew his fortune on ridiculous investments or the former NBA superstar who lost everything in a nasty divorce. While the rate of ex-player bankruptcies are higher than ever before thanks to the global financial crisis, reports from a variety of sources show that ex pro-athletes have always been bad at handling their money. According to a 2009 Sports Illustrated article 78% of ex-NFL players are bankrupt within two years of retirement. Figures from the NBA Players’ Association show that 60% of retired NBA players are broke. While it’s easy to point and laugh at irresponsible millionaires throwing their money away, it ignores the underlying institutional problems faced by many athletes once they retire. To put it simply, many pro athletes are wildly out of their depth when it comes to handling finances. Most are signed up to lucrative seven figure contracts straight out of college or, in some cases, high school. Many come from modest to poor backgrounds and have had no experience in managing a check book, let alone investing millions of dollars. The average career lifespan of a professional athlete is much shorter than that of other working professionals. A plumber or accountant will have anywhere from 30 to 50 productive working years in his or her life. The NFL’s own statistics show that the average player’s career lasts from 6 to 10 years, with most players having a peak earning period of 3.2 years. NBA players have a career lifespan of 5 years or less (source) while an average MLB career is 5.6 years (source). When examining pro athlete bankruptcies, similar patterns start to emerge. Here are four recurring reasons why so many ex players go broke, along with some prominent examples. It’s very easy to be negative and much harder to be positive. I always see the glass half full and I am going to share some of my thoughts on this season and why this was one of the best Padres season’s I can remember. It even surpassed my expectations and believe me I really felt like this team was much better than the experts had predicted.